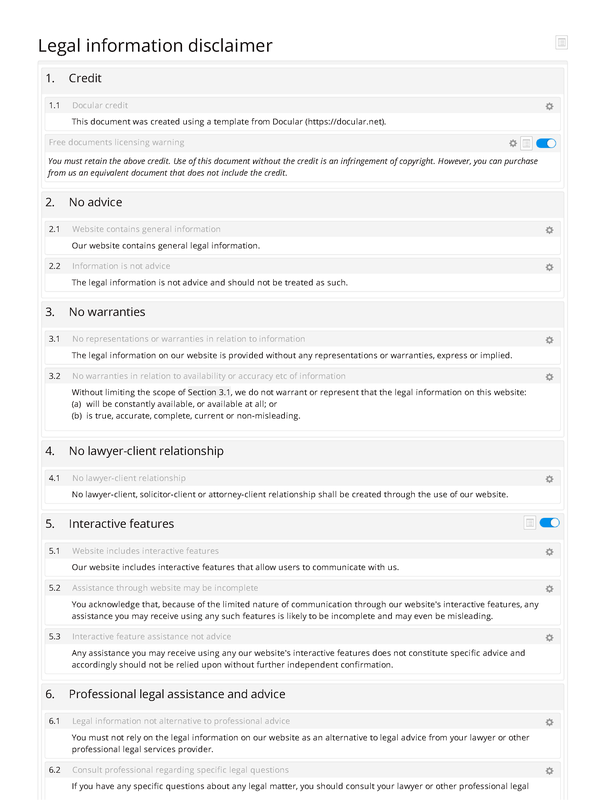 This is a free version of our legal information disclaimer template. The only difference is the inclusion of an SEQ Legal credit. 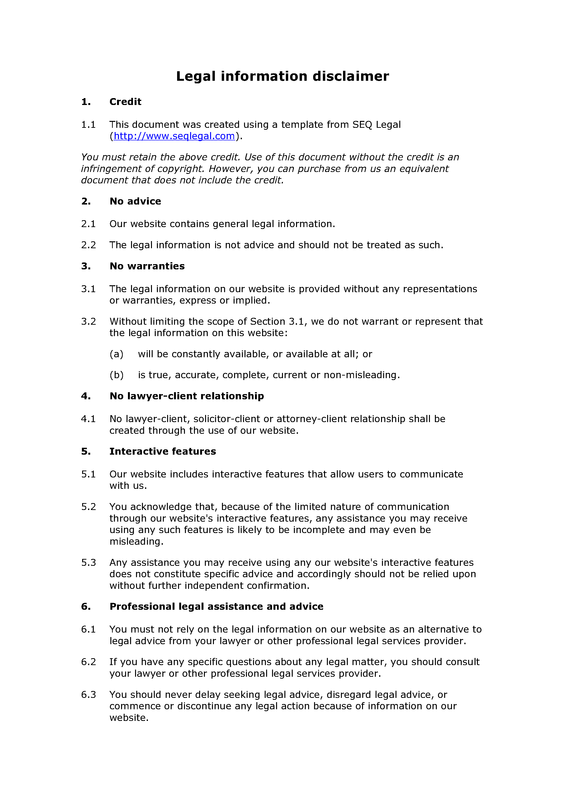 This disclaimer has been created for websites that publish legal information - eg the websites of lawyers or other legal services organisations. Issues covered include: (i) the distinction between legal information and advice; (ii) the question of when to obtain professional assistance; and (iii) warranty exclusions relating to information. As with all limitations and exclusions of liability, the enforceability of the document may be open to question. No lawyer-client relationship: no lawyer-client relationship. Professional legal assistance and advice: legal information not alternative to professional advice; consult professional regarding specific legal questions; no delaying legal assistance etc.